Magy Ganiko was born in Buenos Aires in 1959. He currently works and resides in Buenos Aires. He is a multidisciplinary artist, choreographer, director, dancer, performer and visual artist and studied filmmaking in Paris. He has taken his creations to Japan, Hong Kong, France, Belgium, Germany and Norway. As the son of Japanese immigrants from Okinawa, Japan, the blend of Asian and Latin American culture has defined and influenced his artistic production. Ganiko studied Butoh dance in Japan with the great Kazuo Ohno. His universe is about reinventing the present with a new, liberating myth. In his work, he explores paradoxes such as impulse-reason, profane-sacred, myths, kitsch, disease, deformation, and Hiroshima-Nagasaki, where his father brought help after the bombs. 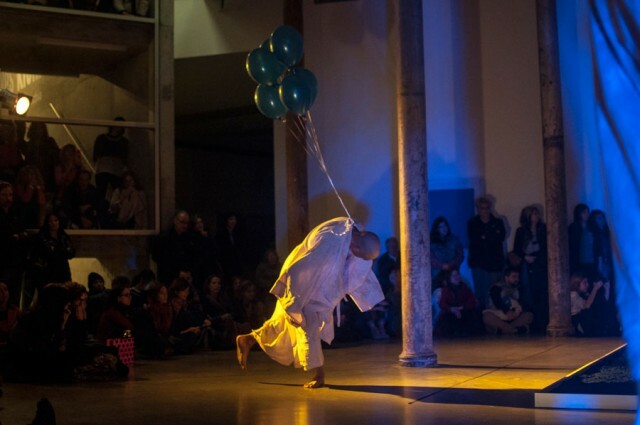 His works include Water Reflections (1997), in collaboration with Japanese multimedia artist Haruo Higuma; Lamentaciones de un pétalo de jazmín (1998); Le Pont du Vent (1998), with French choreographer Fabienne Brioudes; MurMurs (2006); Mysteries of Love (2007); Tintorería Tokio (2008); Utaki (2009); La forêt pendu d´un arbre / El bosque colgado de un árbol (2010); Riachuelo (2016). 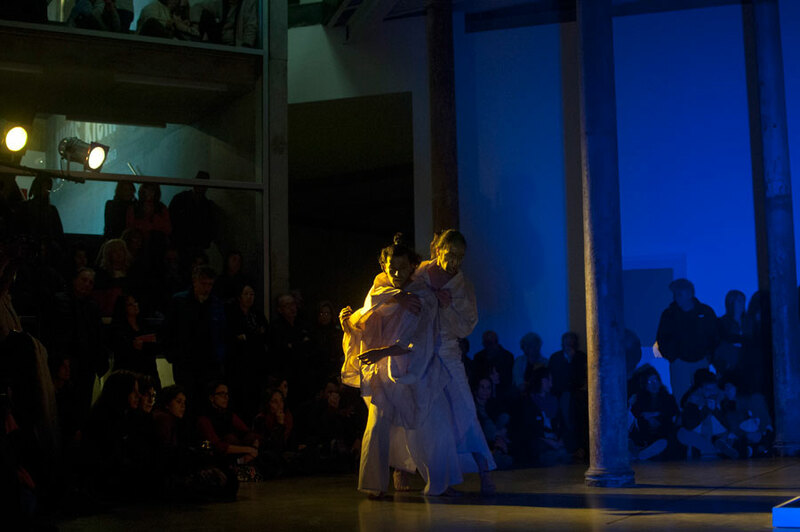 In 2012, he moved back to Argentina and created Espacio Utaki, where he develops the MOI movement and work method. 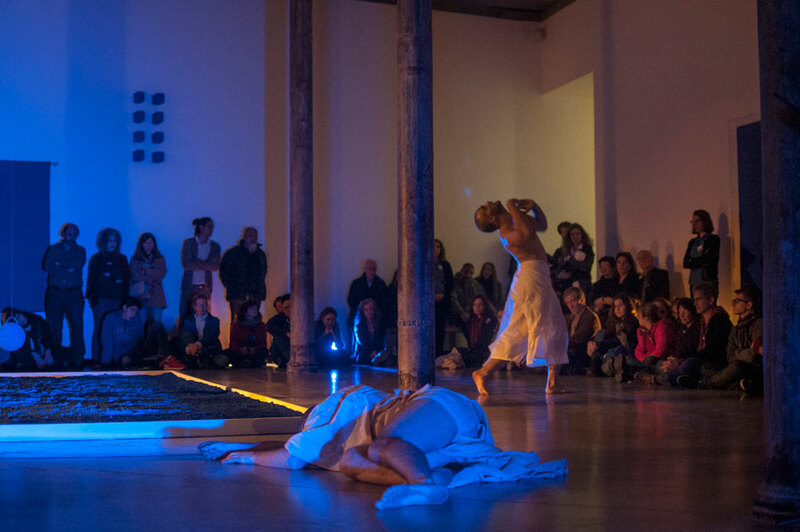 Magy Ganiko inspires himself in the blue world of the French painter, Yves Klein to choreograph ZonaZero. Klein is strongly related to Japanese culture: Judo expert, he visited Hiroshima and discovered how the atomic bomb flash had printed objects and human bodies on walls, stairs, and the pavement. As a consequence of this trip, the artist creates an anthropometry entitled Hiroshima. 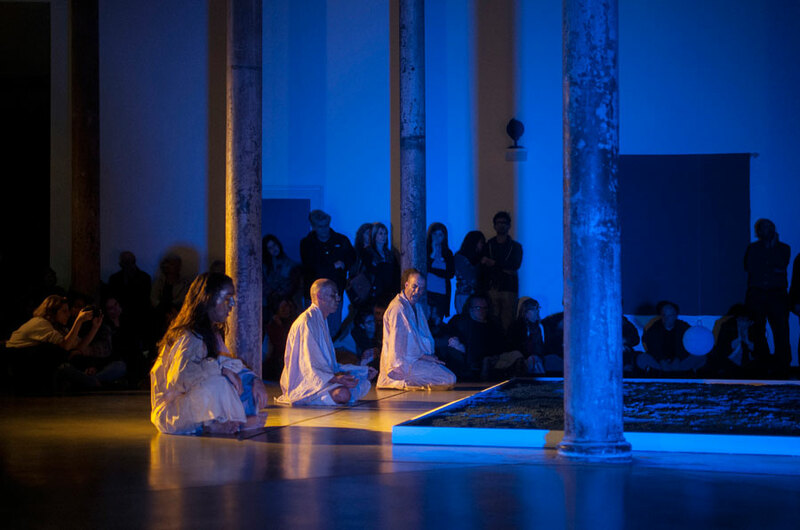 Ginko, whose father was a hibakusha (Japanese word for the surviving victims of nuclear radiation), defines his own work as “turmoil” rather than as a formal staged piece or performance. To cause turmoil, to sink, to go adrift, to go down, to be in a state of uncertainty in the middle of a storm: as a ship that is uncontrolled at the mercy of storms. The limit of turmoil is where everything that is superficial disappears, where the essential becomes a life-and-death haiku. Devastation as “point zero” to arise as a phoenix from the ashes of horror. In his search to achieve the immaterialization of art, Klein finds that the exchange of gold for an immaterial sensitivity area was the most realistic form of art, and also of the art of tomorrow. For Ganiko, ZonaZero is an area of alchemical transparency where the body exchanges darkness for light through dance.